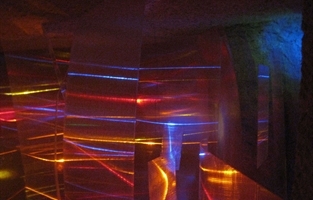 An all-encompassing maze-like environment in which LEDs form colored lines of light when reflected off translucent walls, confounding any sense of orientation. 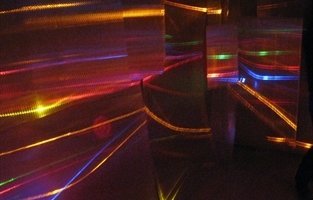 The viewers, simultaneously inside the piece, are invited to use hand-held LED lights to make their own moving light-lines. During performances, dancers wearing lights move throughout and further activate the artwork, creating their own moving lines of light. The installation will be presented at Five Myles Gallery in Crown Heights, Brooklyn, from February 9 to March 16, 2019. Gallery hours: Thursdays - Sundays, 11-6, and by appointment. 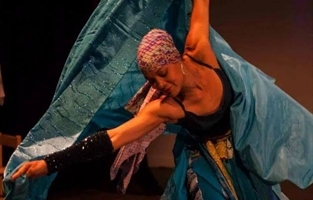 Remaining events: Sunday March 10th, 4pm: artist in conversation with lighting designer Linnaea Tillett. 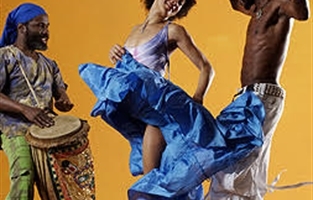 Closing party: March16th, 6.30pm, with dance by Pat Hall and drumming by Yuichi Iida, Pam Patrick and Ronald Gray, and LED exploration by you. Five Myles is ADA compliant and chairs will be provided. The installation is made of corrugated, translucent plastic panels joined together at different angles throughout the space, to create a Piranesi-like maze, occluding the perceived boundaries of the existing walls and ceiling. 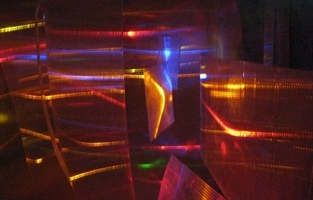 LED lights placed behind and around the panels transform into colored vertical, horizontal and diagonal linear light. 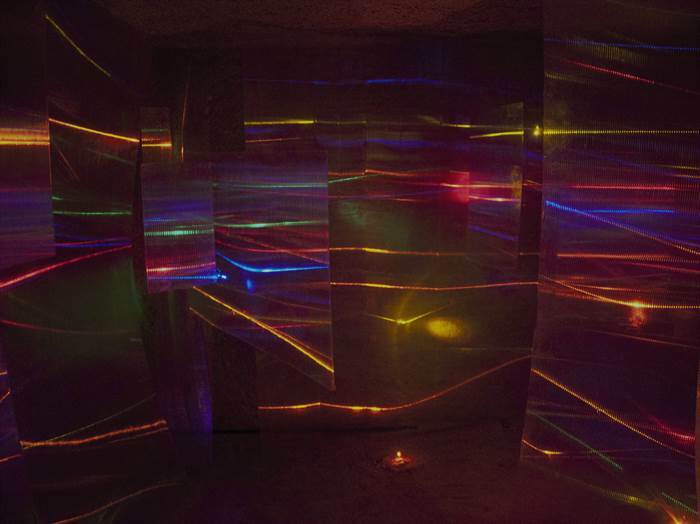 The colored light-lines are reflected onto opposing walls, creating a multiplied effect of colored lines projecting around all of the surfaces. 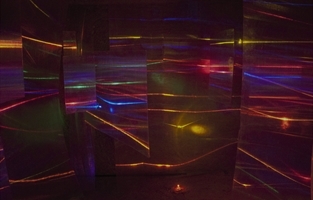 The public/ collaborators/ viewers will be given an LED light in order to create their own light lines on the piece. They try to orient themselves by investigating all angles, discovering how different light-lines are concealed and revealed, depending on their vantage point and focus, and where they shine their lights.